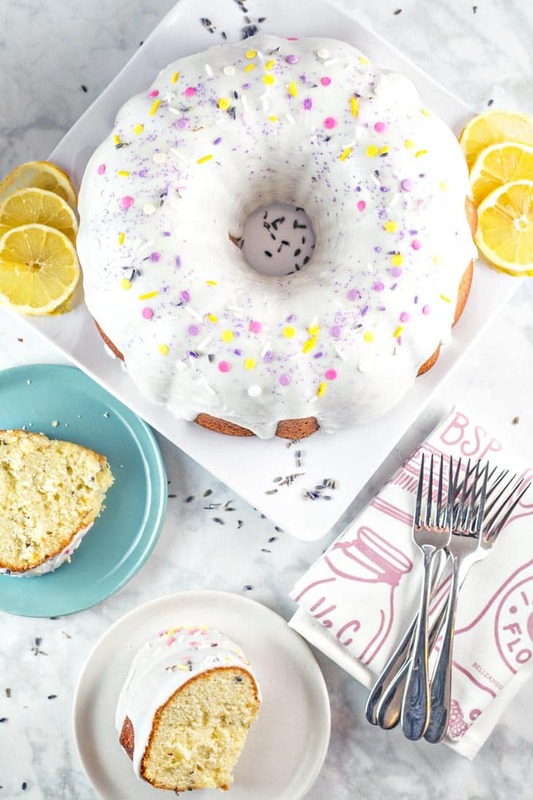 A light and delicate bundt cake full of citrus and floral flavors, this Lemon Lavender Bundt Cake is perfect for spring and summer entertaining. This is the Cake That Almost Wasn’t. 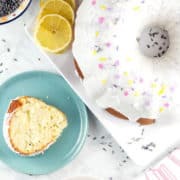 I am not one of those people who believes in signs from the universe, but if I did – the universe was definitely telling me I should not share this Lemon Lavender Bundt Cake recipe. Which is a shame, because it’s really quite delicious. And perfect for Mother’s Day! You don’t have to be a mother to love this cake, though. In fact, you don’t even have to be a human. Because I stayed up until 2:30 am baking this cake, just for it to be devoured by… my dog. Yep, that’s right. I turn my back for two minutes, and half a cake is devoured. Two big paws up from the Dreidel-monster. In my fit of annoyance, I even (jokingly) put my dog up on our neighborhood Buy Nothing group. No one wanted my dog… but there were multiple individuals who offered to eat the rest of the lemon lavender bundt cake, despite the potential dog slobber. Lucky for them, I went ahead and remade the cake for photography purposes, and gave away the slobber-free cake to some awesome neighbors. Thank you, Buy Nothing, for allowing me to continue my baking hobby while still managing to fit into my pants! 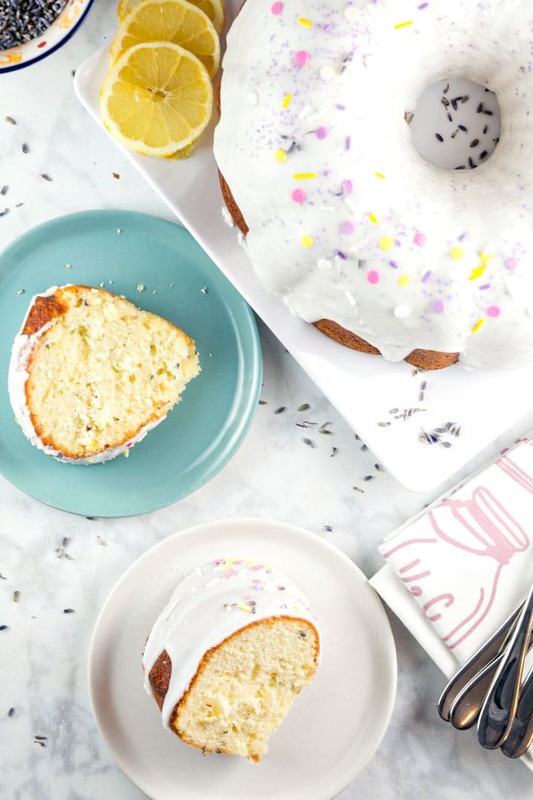 Now, let’s talk about this dog-gone delicious lemon lavender bundt cake for a minute, shall we? (See what I did there? I know, I’m hilarious! Admit it, you laughed. Fine, I’ll settle for an eye roll.) I was a little stuck on what flavor cake to make for the May installment of Bundt Cake of the Month. My husband suggested something floral, a nod to the amazing rosewater macaron we had at Ladurée in Paris. It was a little mind-boggling how much rose flavor was jam packed into that little macaron. The lavender in this is much more subtle, although it’s still quite a bit more than most of the lavender baked good recipes out there. Lemon can be a little overpowering (although in a good way – I love citrus! ), so the extra boost of lavender helps the flavor come through. And don’t skip the glaze – it’s the most lavender-y part! Seeping the lavender in some warm heavy cream really brings helps it shine. As far as obtaining lavender, I purchased this culinary lavender off of Amazon [affiliate link] — four ounces will make you many lemon lavender bundt cakes! I also made this cake with cake flour — all my other bundt cakes in the flour use all purpose flour, so I wanted to see if cake flour made a difference. Kitchen Chemistry: Cake flour contains less protein than all-purpose flour (roughly 8% versus 11%). Less protein means less gluten formation, so a cake made with cake flour has a lower gluten content. Cake flour also undergoes a special bleaching process (typically with peroxide) different than other flours. This means cake flour can hold more water and sugar, and also produces a super tender, fine crumbed cake. I normally prefer my cakes denser (total personal preference), so I generally bake with all purpose flour. But I wanted a lighter, airy cake to pair with the delicate lavender flavor, so I used cake flour this time. It’s also a great choice for a bundt cake, which is generally heavier and denser to begin with, since it’s so thick. Uhoh! 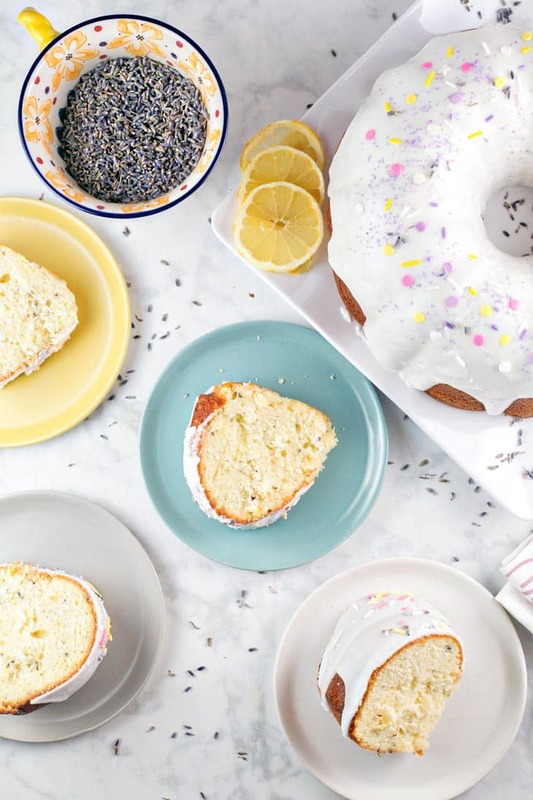 You want to make this lemon lavender bundt cake, but you don’t have any cake flour! What can you do? Well, as I mentioned above, you can approximate cake flour by adding in 2 tablespoons of corn starch to 1 cup minus two tablespoons of all purpose flour. If you just want to stick with all purpose flour, leave out the two tablespoons from each cup of flour. Light and delicate, citrusy and floral. 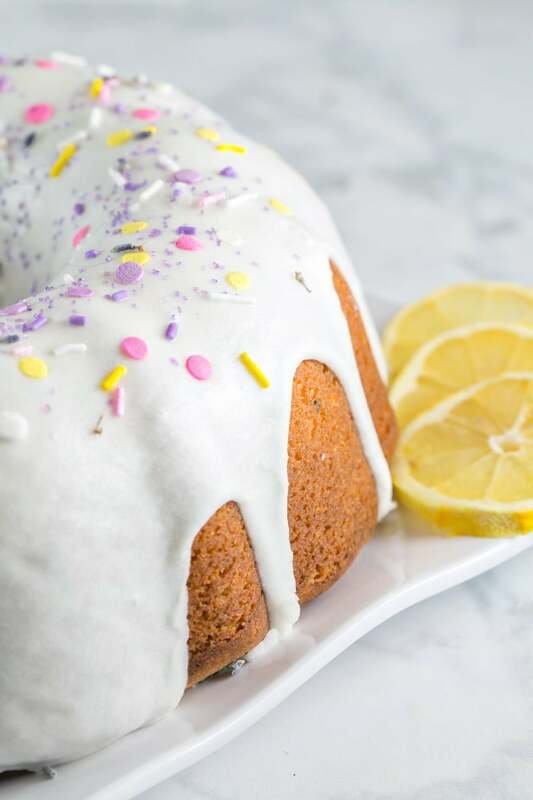 A lemon lavender bundt cake is perfect for spring or summer weather. The unexpected hint of lavender is a unique flavor. The lemon is bright and cheerful and perfect for the warmer days. So make this for brunch, for dessert, for a celebration, just because, or to share with your neighbors. Just keep your dog out of the kitchen. Heat the oven to 325 °F. 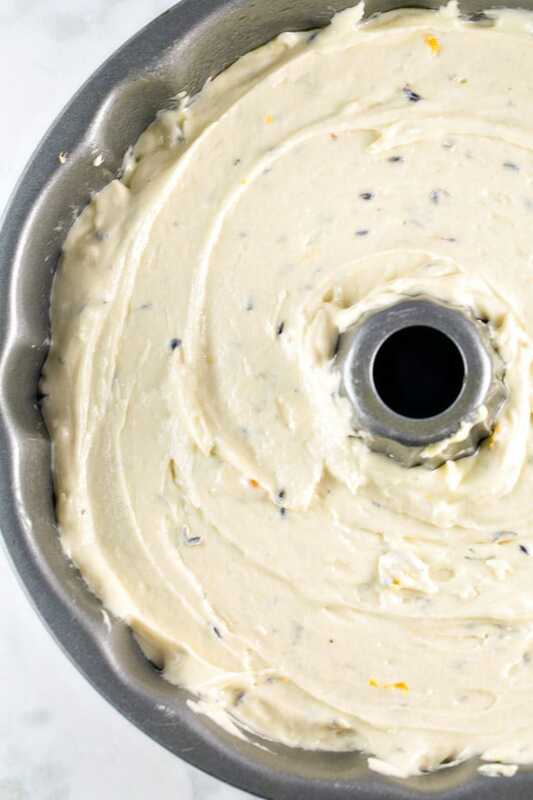 Grease and flour a 12-cup bundt pan. In a large bowl, beat together the butter and sugar on medium speed, until fluffy, about 3 minutes. Add in the lavender and beat an additional 1-2 minutes. Add in the eggs, one at a a time, followed by the vanilla, lemon juice, and lemon zest. Turn the speed down to low and add in the sour cream, followed by the cake flour, baking powder, baking soda, and salt. Continue to mix on low speed until all ingredients are combined and no dry spots of flour remain. Spoon the batter into the prepared pan. Bake for 55 minutes, or until a tester inserted into the center of the cake comes out clean. 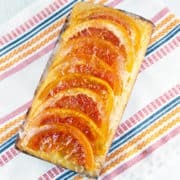 Cool in the pan for 10 minutes, then invert to a wire rack to cool completely before glazing. To make the glaze, heat the heavy cream in a medium bowl in the microwave, until steaming and just starting to bubble, about 60 seconds. Add the dried lavender and allow the mixture to seep for 10 minutes. Strain the mixture, reserving the lavener-infused cream. Add the powdered sugar to a second medium-sized bowl. Add the fresh lemon juice and whisk. Whisk in a few tablespoons of the heavy cream at a time until the desired glaze consistency is reached (thick enough to pour while scraped out of a bowl). Pour the glaze over the cake and allow the glaze to solidify for 30 minutes before cutting. Cake can be made ahead and frozen. Wrap cooled, unglazed cake in plastic wrap, followed by a layer of aluminum foil and store in the freezer for up to 3 months. 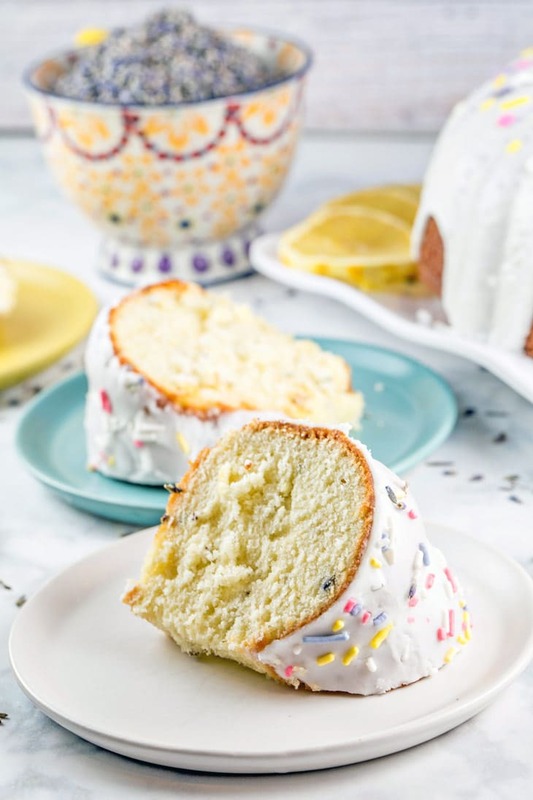 Bring cake to room temperature overnight, then cover with lavender-infused glaze. Cake recipe adapted from Nordicware. I love how easy this is while looking so fancy and special! This cake really looks beautiful and sounds quite special. 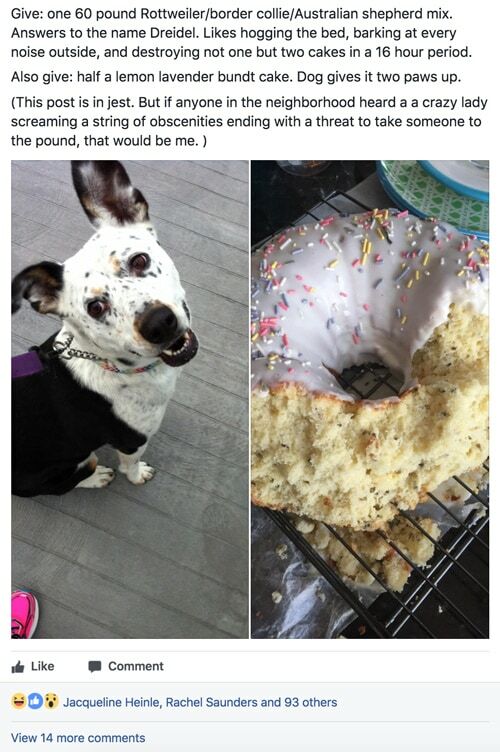 I’m glad to hear I’m not the only one with a dog that enjoys stealing freshly baked sweets! Oh man, she cannot refrain herself around baked goods! Normally if we push things all the way to the back of the counter she’ll sniff but let it be, but I guess this one was just too much for her to resist and she managed to get her paws up on the counter. This bundt cake really screams my name, because I loooove lavender. 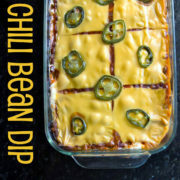 I so want to make it!! Lemon in lavender. Sounds good, looks good and I love them both! Well done. Oh no! What can I say – your dog has great taste. This cake is pretty to look at and the flavour sounds lovely. I’m so pleased you did manage to share it. Ugh, I know – can I really blame her for eating it? Siiiiiigh. Yeeks! I can’t believe your dog ate half the cake. Well, I guess I can since it looks so delicious! 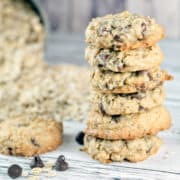 Great recipe once again! Haha I know – but can I really blame her for eating it? Sigh. This is such an appetizing treat, Julie! Perfect for a birthday or just any regular day! The recupe sounds delicious and the icing is so cute & girly! So really, two Tablespoons Vanilla. I’m hoping that’s a typo??? Not a typo! We want a distinct vanilla flavor, so two tablespoons of vanilla it is. Keep in mind that this is a big cake. Bundt cakes are my favourite cakes to make! I’m actually making a carrot bundt cake this weekend. I’ll have to add this one to the list. I love the lemon lavender combo. So perfect for spring!